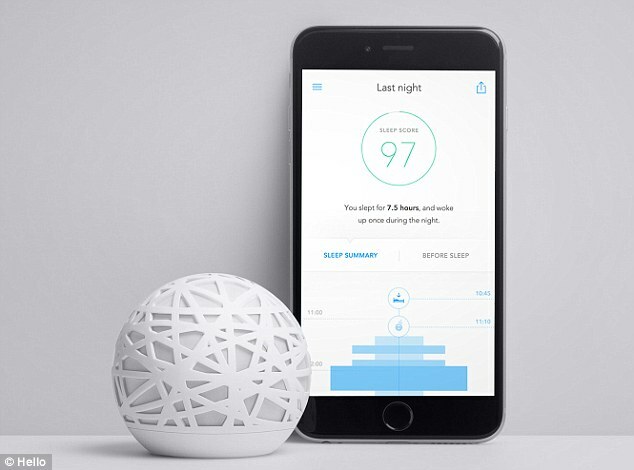 Hi-tech 'sleep pill' could give you a perfect night's rest: $129 sleep monitoring orb goes on sale after raising $2.5m on KickstarterIt was one of the most successful Kickstarter projects of all time - and could change the way you sleep. It was one of the most successful Kickstarter projects of all time - and could change the way you sleep. Sense, a $129 (£99) smart orb went on sale today following a crowdsourcing campaign that saw it raise $2.4m. It contains sensors that can monitor everything from air quality to noise, and tell owners how they slept - and how to sleep better. 'Our mission at Hello is to help people to live better, by understanding themselves and the world around them,' said James Proud, the 23 year old behind the project. 'By starting with sleep, what we've produced with Sense is something that will help to improve the foundation of every day. 'In less than a year, from conception, Kickstarter campaign, to release, our team at Hello has worked tirelessly to produce a simple and unobtrusive system. 'With Sense, all you should have to do, is go to sleep'. It measures sound, light, temperature, humidity and air quality. giving users a sleep score for every night. Over time, it learns how a user sleeps and offer them tips. Sense is a simple system that tracks your sleep, monitors the environment in your bedroom and reinvents the alarm, so you can sleep better. The app tells you how well you slept (or didn’t) by giving you a Sleep Score each night, and analysing the historic data to work out what temperatures and humidities you sleep best at. 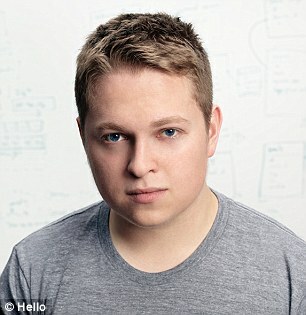 23 year old James Proud founded the firm in 2012 after moving to San Francisco from London. The device continually learns about you and your sleeping habits, gathering essential data from your bedroom without any input from you. It uses a learning algorithm so that, with every sleep cycle that passes, it gains a more comprehensive understanding of how to improve your sleep. 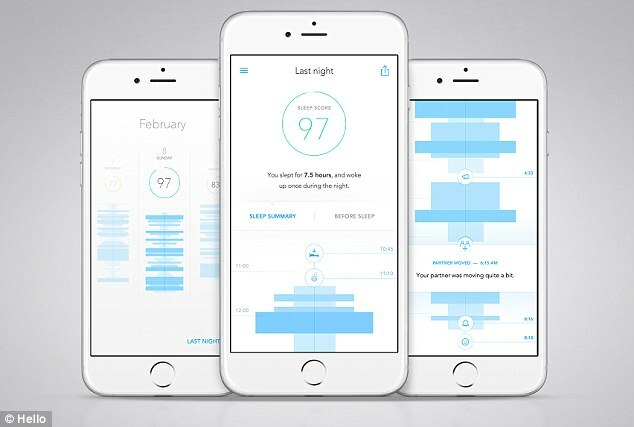 Sense analyzes the information from your sleep cycles and the environment of your room to give you a personalized reading and Sleep Score every morning. The free app for iOS and Android, also launching today, presents all your sleep data in a clear timeline each morning. When you turn your lights out before you go to sleep, Sense performs a thorough room check, measuring the temperature, sound, light, humidity and air quality in your room to make sure it’s just right for you. Sense glows green if everything is good, yellow if something is a little off and orange if you should adjust something. The main control orb is packed with sensors. Ambient Light Sensor monitors the levels of light in your room. A particulate Sensor can check for pollen and other material that triggers allergies, giving an air quality reading. 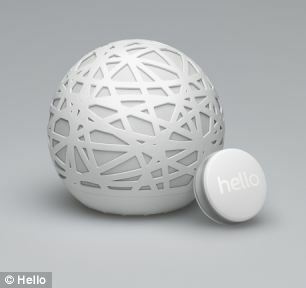 The second sensor, the sleep pill, has accelerometers to detect the slightest movement, and is left clipped to your pillow. It tells the orb how you are sleeping. The app tells you how well you slept, or didn’t, by giving you a Sleep Score each night, and analysing the historic data to work out what temperatures and humidities you sleep best at. Sense’s Smart Alarm will wake you up at the lightest part of your natural sleep cycle, up to 30 minutes before your requested wake-up time, making sure you wake up refreshed and at the right time for you. 'The Sense Smart Alarm knows where you are in your sleep cycle and will wake you up at the right time for you,' the firm says. 'Sense won’t let you wake up later than you requested. The gadget is designed to fit in to any decor, and is available in cotton and charcoal. The firm also decided not to include a snooze alarm. 'Hitting snooze allows your brain to restart its sleep cycle. 'When the alarm goes off again, you are more likely to be sleeping even deeper than your first alarm. Proud founded the firm in 2012 after moving to San Francisco from London. In 2011 he was accepted to the inaugural Peter Thiel Fellowship and was the only non-American candidate that year.